While spring may not be too far away from now, winter is still very much in session. It's February and is still pretty cold outside in NY. I still need to bundle up when I go out to school or work. It's sometimes even necessary to dress warm when you're going to stay indoors as well. However, there's no reason you can't look cute and stay warm at the same time. Wearing a sweater dress is the perfect way to achieve this. Sweater dresses are great for the winter and happen be a big trend right now that has been spotted on various celebrities. They basically look like regular sweater tops, only longer (the actual length varies depending on the dress). These dresses are definitely a nice warmer alternative to the shirt dresses that I wrote about in the fall and they carry a more feminine feel to them. 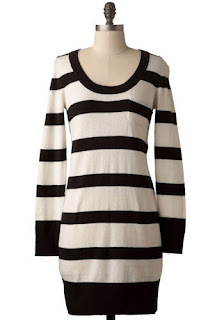 If you're interested, take a look at the sweater dresses I found online below. To get a vintage vibe, wear a sweater dress with a cloche hat, a pair of lace tights, a bib necklace, a faux pearl bracelet, and some ballet flats. 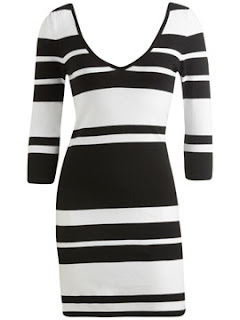 For the office, wear one of the turtleneck or cowl neck sweater dresses with a blazer and a pair of pumps. For the spring or summer pair a short sleeved or sleeveless sweater dress with some gladiator sandals, bangles, a floppy hat, and a flower ring. For a date or for hitting up clubs, wear a cold shoulder sweater dress with metallic leggings and a pair of over the knee boots. For a preppy school girl look, wear your sweater dress with a pair of plaid over the knee socks or argyle tights, some mary janes and a bow headband. 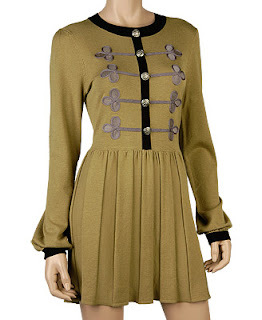 For a cute winter look, pair a long sleeved sweater dress with some slouch boots and thick tights. If you have any more suggestions on how to wear a sweater dress, let me know. Perfect way to be comfy and chic! Girl, you know what? I always love your finds. 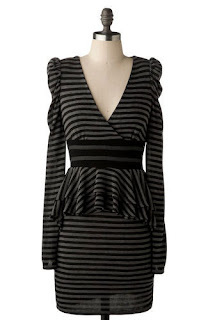 Out of these beauties, I found two most irrestible: the Cowl belted sweater dress and the Knit Sweater Crew Neck Dress. Love them! I love the military style one. Gleenn: Thank you, Gleenn! I'm glad you liked this post. I like the dresses you mentioned too. Remy Ma: Sorry about that. I've been really busy lately. I'll check out your blog in a bit. Kat: Hi Kat! Thank you for reading and commenting on my blog. I'm glad you liked the Military Sweater Dress.